The all-new highly-anticipated 2014 Mercedes-Benz S-Class, S550 4MATIC, and S63 AMG 4MATIC launch in the U.S. with a new design, engineering, performance and technology. Mercedes-Benz just launched the new 2014 S-Class here in the U.,S. and it comes with luxury never seen before that will eventually be seen in all cars on the road. The new S-Class comes with new features and technology that will influence all cars in the future. The Mercedes S-Class has been the benchmark for luxury saloons and is still the leader when it comes to the latest design, safety, engineering and technology. The 2014 model is simply outstanding when it comes to luxury and technology. According to Bernie Glaser, vice president of marketing for Mercedes-Benz USA, all the new technology on the S-Class will eventually filter down to every car that Mercedes makes. "The strides we make in the areas of design, safety, engineering and technology, which are pioneered on the new S-Class, will make their way through all our models and eventually into the mainstream." Mercedes has been doing this since their inception in 1886 when Carl Benz built the first petrol-powered car. The German automaker takes from the “S”-Class which stands for “Special” and uses the advancements to improve their whole stable of cars down the lineup. And it doesn't just end up in Mercedes-Benz cars. Glaser went on to say in the press release, “This is what has happened throughout our 127 years, and as a result, there's hardly a car on the road today that doesn't owe some of its technology to that constant commitment to innovate and to lead." What can we expect to see in the C-Class at some point? We will see everything from the 2014 S-Class like the new hot stone massage, to interior lighting available in seven colors and even a cabin fragrance system that perfumes the air with a favorite scent. We can expect to see the “highest expression of Mercedes-Benz" on all their cars in the future. The 2014 S-Class also comes with luxury features in the cabin like heated armrests, ionized air purification via the AIR BALANCE PACKAGE, rear-seat luxury, and a Burmester sound system, the S-Class pampers its occupants. Underneath, the S-Class brings the latest in an intelligent suspension system called MAGIC BODY CONTROL, which sees the road ahead and adjusts the suspension accordingly. 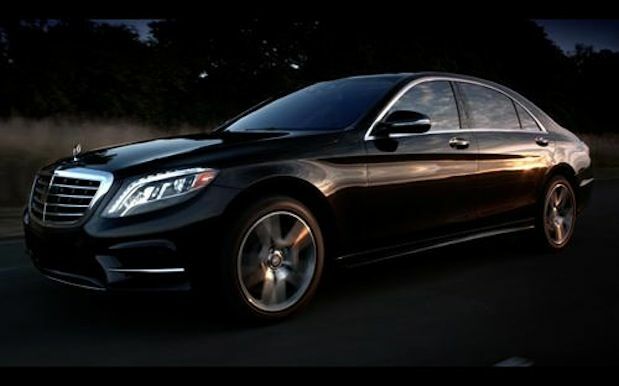 The new 2014 Mercedes-Benz S-Class launches in the U.S. at a price comparable to the outgoing model. Mercedes says its lower on an MSRP to MSRP basis. S-Class starts at $92,900 USD (excluding $925 destination/delivery charge). It also comes in all-wheel drive configuration, the S550 4MATIC, and in a high-performance AMG variant, the S63 AMG 4MATIC. The new S-Class luxury and technology of tomorrow is available today in U.S. showrooms.